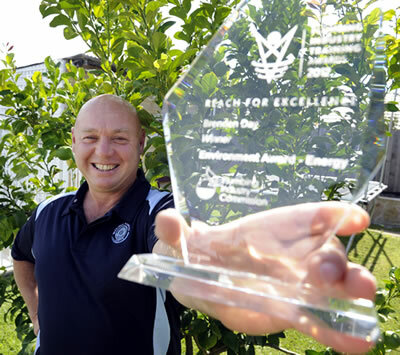 Warringal Plumbing won the Environment Award – Energy 2012 Winner, which recognised Brenden Day of Warrigal Plumbing as a plumbing practitioner who has completed studies to enhance their contribution to sustainable energy use. Victorian plumbing practitioners were recognised for bringing new levels of professionalism and service delivery to the industry through training at the Plumbing Industry Training Awards (PITAs) in Melbourne last night. Plumbing Industry Commissioner Michael Kefford said the awards recognise and encourage post-apprenticeship training and development in the plumbing industry. “The PITAs are a showcase of the contribution that Victorian plumbing practitioners are making to the industry and the wider community through life-long learning that enables them to up-skill and stay in touch with new technologies, regulations and ways to work and run their businesses,” Mr Kefford said. There are eight awards: five recognise individual practitioners, one recognises an employer, one recognises a trainer and one recognises a training organisation.